1. Should damage to the armored box be increased? These zones should be citadel hitboxes. 2. Should the armored box transmit damage to the citadel? So through last year, we've seen a number of ships get or enter the game with lowered citadels on the basis of very thin constructional or anti-spall plates(e.g. USN T8+ BB, RN BB). This can in some cases make the ships all but impossible to citadel hit except at long ranges. That may or may not be a balance issue, but setting it aside it definitely is leading to a sort of citadel arms race where every time new ships are added or a ship gets an armor model change it provokes arguments about how X/Y/Z ship with a 7mm, 13mm, 19mm, whatever plate deserves its citadel hitbox to be different in some way. The ultimate reason for this is that of course there is a huge difference in how the ship performs depending on where these hitboxes are, and it frankly leads to questions of why ships have high armored boxes in the first place. Because the game uses historical ships, these questions can't be avoided and have significant balance consequences- a ship that has a high armored box and no intervening plates(or plates that are not considered to separate it) suffers a significant ingame handicap and spent that tonnage on something useless within the game, making it overall less capable. I see two partial solutions, to either increase the amount of damage that these zones take, making the differentiation between important areas inside the armored box of the ship but not the magazines or engines and those areas narrower. Say making them take 66% rather than 33% damage, increasing the amount of HP allocated to the modules that make them up, stuff of that nature(worth noting that the armored box on KGV will saturate and take only 16% damage after just 15.4k HP damage to the ship). Alternately, having these modules transfer damage to the citadel rather than the 75% HP hull zone, at a reduced rate. This would make the zones impossible to saturate, so you couldn't end up depleting all the HP in them and their parent while the ship is still alive. I would probably go for a mixture of both, having the modules take the same 16.5% damage they do now but transmit 33% of damage to their parent in all cases and having that parent be the citadel if the intervening plate is 32mm or less. That would make the armored box always a bit jucier of a target than the extremities, and especially so if it doesn't have a strong intervening plate before the citadel(i.e. German and incoming French ships would suffer less from this change). 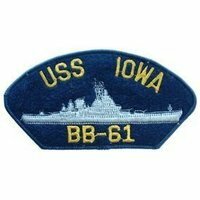 I citadel USN BBs Tier 8+ all the time from all different ranges. Honestly the lowering of battleship citadels just feels wrong and ive yet to feel more enjoyment out of playing with or against ships that have had them lowered in such a way. Citadels on BBs are fine the way they are, but citadel hits on cruisers do too much damage and should be reduced (given how easily they are hit). That solution is far easier to implement than moving hitboxes, just decrease the % of damage done upon a citadel hit for cruisers. USN BB is marginal, NC is the easiest at close ranges, Iowa/Montana are nearly impossible at below 5km due to the way that normalization will interact with their armor plates and the AoF. That's great as a Montana driver, but it does feel pretty disappointing to put a spread into one during a pass and get low damage. The real cheese is the UK BB which are extremely hard to citadel even at range. They pay for it with low HP but I have real concern that some BB design out there has a 25mm plate super low in the ship while being a bit more normally sized and armored for a T10 BB. Also just being impossible to cit dosen;t prevent nukings. And yes a severe positional mistake several minutes earlier was involved in me being in a position for this to happen. AMongst other mistakes, it was a 140k game but not a 140 k i felt like i'd earned if that makes any sense. Also just being impossible to citdosen;t prevent nukings. How do you play with all that **** on your screen? I don't have quite as much, but the answer is still "easily". No, people are too passive right now. If you increase citadel damage, that will only become worse as the risks for mistakes become worse. Care to explain which bits are bothering you? the bit in the lower kiddle is actually the most important bit, angling with the default fisheye cam and especially judging enemy angles is hard, that makes it so easy., but being able to glance at team lists and see current HP's and torp ranges is quite useful. Detection and gun rnage less so but occasionally useful. And seeing my own stats in the lower left is useful when playing a ship for the first several dozen games until can semi-memorize the stuff from experiance. As a p.s all that stuff on your screen probably would be severely overwhelming without experiance, it takes time to learn to use this stuff to full effect, same with all the minimap circles. Better yet, drastically reduce the size of Cruiser Citadels. WG already pays too much attention to BBs. How about showing Cruisers some love Devs? I honestly think that the fact they had to remove DD cits coupled with the fact that they have felt the need to lower BB cits coupled with the fact that cruisers are considered too squashy because of their indicates there's somthing seriously flawed with cits in general. In the past I've pitched the idea of just removing magazine spaces from the citadel space, for heavy cruisers. This would reduce the size of the citadel in cruisers by around 1/3rd to 1/2, depending on the boat, and make bow/stern citadels a thing of the past purely due to how much ship must be penetrated to reach the engine spaces. It got shot down because it would result in an "undeserved" buff to IJN cruisers. Lowered citadels are literally only an issue because of the British ships, some of which have literally lopped off the top third of the BOILERS. Iowa and Montana needed it because the ships played like complete glass canons (minus actually having incredible canons), where even experienced players could make the smallest mistake in angling and just get deleted. This mostly is just a problem at high tiers, where guns are so powerful that only autobounce and overmatch can really protect you from being citpenned into oblivion. Now, we could do more "stepped" citadels. That is, having higher sections amidships that lower down to the additional armor layer that is usually present over ships magazines. Most of the Brits from tier 7+ could probably stand this treatment. I had no problem playing Iowa/Missouri with higher citadels, the buff only made the T9 BBs which were by far the strongest already even stronger. These ships are plenty resistant to their own shells already when angled, the RNG factor increased substantially by the lowered citadels. If you get a perfect flat broadside from one of these ships, you either delete them or do around 10k damage. This was further increased when WarGaming decided that BBs were too accurate and added a flat dispersion nerf against any ship that used the concealment module which is all of them. This is just stupid. The only change to citadels I'd like to see (beyond their outright removal as damage centers) would be to give all cruisers at ALL tiers heal pots that only heals cits; so that a single bad hit in the first 2 minutes doesn't leave you crippled the entire match, but in the same breath doesn't take tanking, from fires and overpens and normal damage, away from BB's. I'd offer the same thing to all DD's as well except they lack a Cit in the first place; perhaps they get a heal pot that ONLY heals full pens (not fires, floods or overpens), again, for the same reason. I think that a more realistic system would be to change the way fuses arm. Currently, passing between sections in a ship will arm an AP shell no matter how much armor it needs to penetrate to arm. I think that, instead of just modeling sections, WoWS should model the machinery itself. If a shell hits the machinery, it should deal penetration/citadel damage, other than that, it should deal overpenetration damage. Only cruisers and DDs benefits from the dispersion nerf for using the concealment mod. If I remember correctly, cruisers and destroyers got a dispersion buff the same patch, and all concealment modules have "+5% to dispersion of shells fired by the enemy attacking your ship"
I don’t think BBs got that increased dispersion when they use concealment mod, not on my computer so I would need to look later. Both of these and BB citadels are fine. You aimed a bit short with the first salvo, and fired too soon into the turn when he was still heavily angled. Naturally most of the shells fall short, and the two that do hit either bounce or overpen. Bad shot on your part made worse by RNG. Second salvo you have full view of his broadside, see the DD at the last second, panic, and shoot too far forwards, which leads to three of your shells striking the unarmored bow section/over the belt and just overpenetrating. Bad shot on your part. The third salvo you aim and fire at an already questionable angle, getting some normal pens. Bad shot on your part. The fourth salvo is just hilarious. He's clearly angled heavily enough to bounce the shot, yet you take it anyways. Pointless shot on your part.